Now a days the technology has advances in a wider term.<< You might have seen so many bond movies where he can track a car with small device. And this is available to general public now. Don't get too excited. You might heard about GPS tracking systems or vehicle tracking. GPS vehicle tracking is pretty advance technique through which an individual can track down any movable object. So are you ready to become bond. This GPS tracking system is not just for fun. It has lots of benefits to an individual or business. It provides the timely and detailed information about the location of your friends or if you are a businessman you can track your fleet positions easily. As the GPS vehicle tracking monitors each moment of vehicle, it can easily determine the driver’s behaviour. By setting up alarms at exceeding speed limit, it would remind them that they are being monitored by GPS system, and it’s enough to modify their driving skills. By adapting more conservative driving methods the fuel consumption will reduce and it’ll also reduces the wear and tear of vehicles too. The main benefit is that it will control road accidents. Provides the information about the vehicles which are overused. With the GPS tracking system you can locate routes and can manage or change the vehicle route according to the situation. 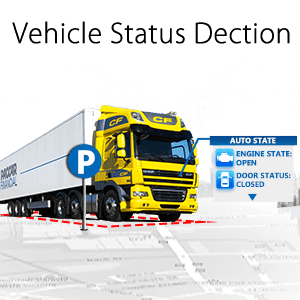 If vehicle needed at a particular place urgently, you can easily track the closest vehicle to that position and can divert vehicle to that particular location. It will be easier to manage your employees and vehicles. And will definitely promote the business growth as the fuel consumption reduces, idle time improves and employees will work in more managed form. GPS vehicle tracking system also provides maintenance report to the managers based on the last service schedule of vehicle. It keep you update about the service schedule and provides automated information so that you don’t miss any vehicle for maintenance inspection.